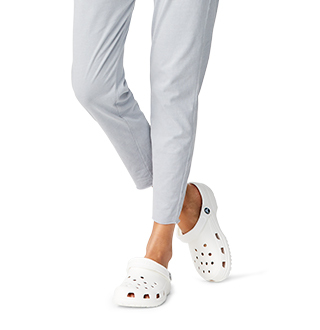 Crocs™ slide sandals for kids - just what your kids need to keep them looking cool all summer long! We've got a hunch that your kids will absolutely adore these slide sandals not only for their bright-colored designs, but for the classic look & feel that has been highly popular among kids throughout the world. Parents love our kids' slide sandals too! 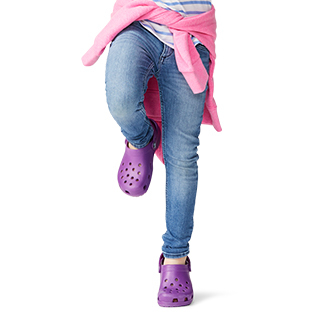 Many of the Crocs sandals for kids are not only durable, but they're easy to clean too. So go ahead, let your kids run and play, knowing that clean-up is a breeze. 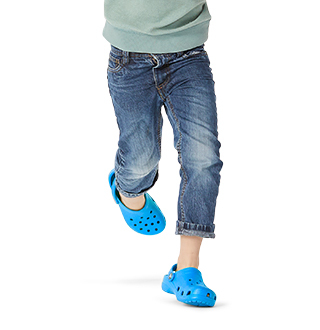 Make your child's day and grab a pair of the Crocs slide sandals for kids! Looking for something else for kids? Be sure to check out the entire collection of sandals for kids including kids' water shoes and sandals, kids' summer flip flops, kids' fun beach shoes, and more! The slides were true to size and have been comfortable for walking short distances. However, today my daughter complained of some chafing on the sides of her feet while we were walking the dog. They are so smooth, soft, and comfortable! Love the look of them! Great product. The sizes do seem to run big. Super cute and my son says he loves it. 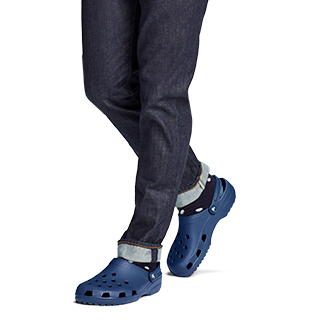 He wears a size 12 and it is true to size.